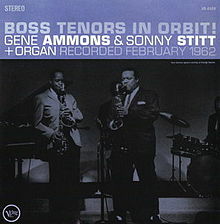 both (excellent) tenor players are credited on the front cover "+ organ." the organ didn't play itself, however. i'm happy to shed some light on underappreciated musicians like don patterson on this program.